Coffee doesn't always give you the type of energy serge you need. 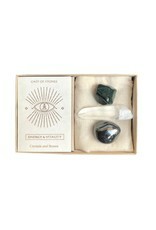 Cast of Stones has put together the perfect stone set to move through life with more energy and vitality. 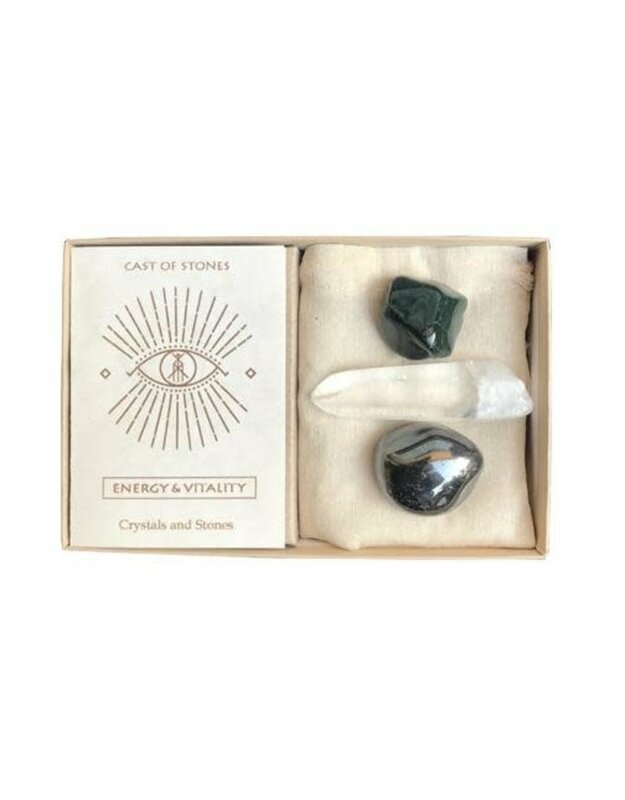 The Energy & Vitality Stone Set includes three stones, each magical in their own way. Bloodstone: This stone is known to purify the blood, so your body runs smoothly and efficiently. Bloodstone is known to energize you to better battle tiredness, negative thoughts, and self-deprecating thoughts. Hematite: Known as a stone with grounding energy, Hematite strengthens your aura and creates balance between mind, body, and soul. Plus, it deflects negative energy, stress, and anxiety. Quartz Crystal: The "Master Healer" stone has multiple benefits. Quartz Crystal purifies the mind, body, and soul allowing you to navigate through life feeling more balanced. When life gets you down, you can count on this stone set to bounce back!